Free Events this National Trails Day! 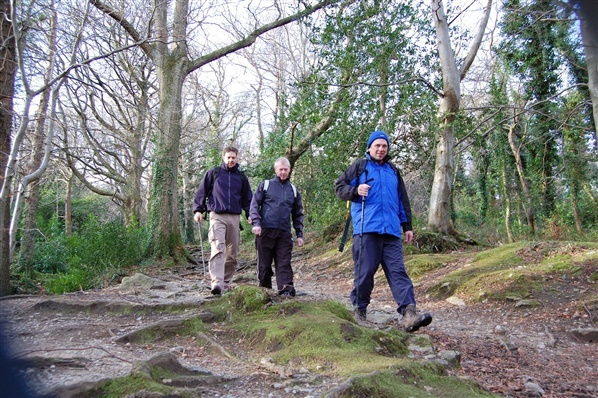 Now in its forth year, National Trails Day 2011 is on Sunday 2nd October and sees over 50 FREE guided activity events taking place on local trails throughout Northern Ireland. With everything from guided canoeing trips to historic walking tours and mountain biking skills courses to equestrian trail rides, this year’s National Trails Day is set to be the biggest and best yet! So why not get outdoors and try a trail near you this National Trails Day. Check out our top picks from all this year's free events below! 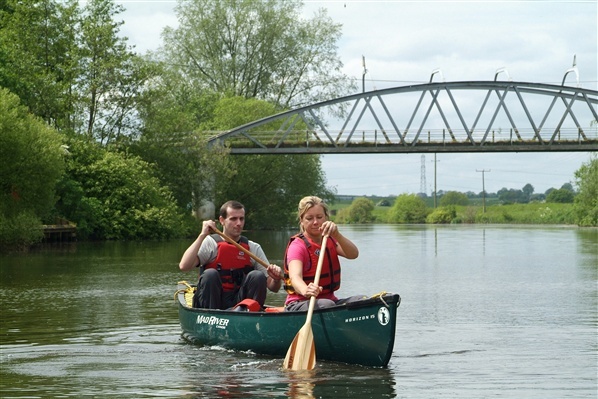 Discover the Island Town of Enniskillen... by Canoe!!! Join the Erne Paddlers on a trip around the island town of Enniskillen. Your trip will begin under the imposing 17th centuary Watergate on Maguire’s castle and continue until the bridges and along the waterways of Fermanagh’s county town. Join experienced mountain bike guides and coaches on a day of exhilerating riding at the newly opened trails at Blessingbourne Estate in Fivemiletown. 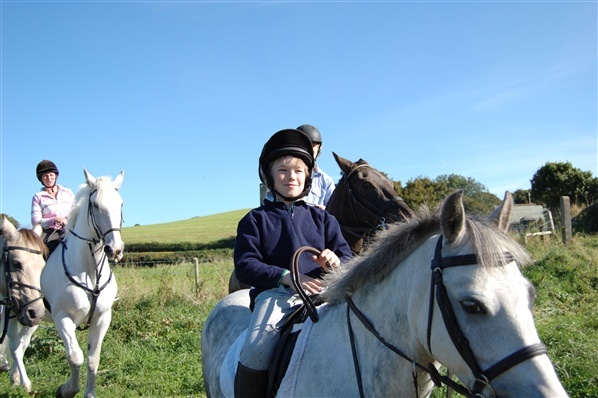 There will be a series of guided trail rides throughout the day for all ages and abilities. 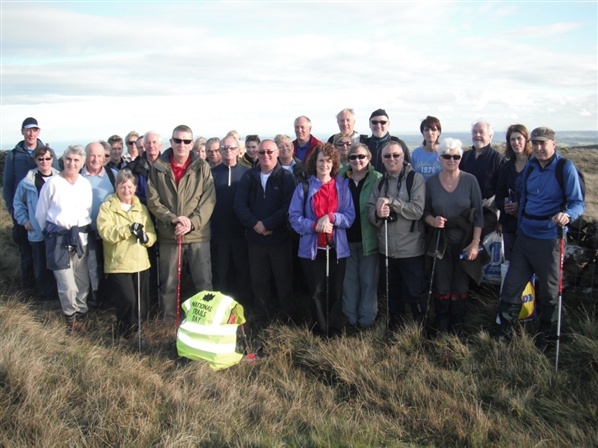 A fascinating guided walk exploring the abundance of local flora and fauna on a spectacular trail to Lough Shannagh. A fantastic opportunity to soak up the culture of the Mourne Mountains and learn about the unique Irish Heriatge of this stunning area. 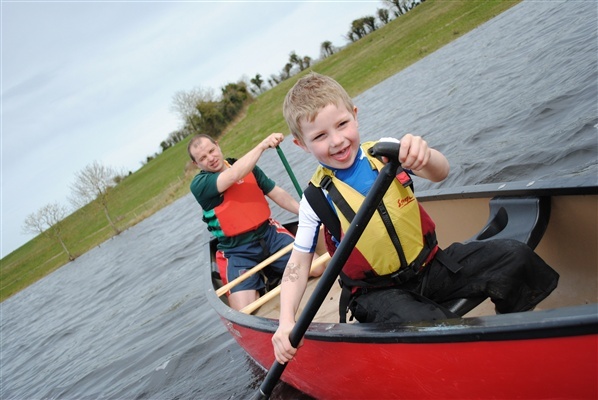 Why not seize the opportunity to learn the basics of canoeing on the River Lagan this National Trails Day. This free guided trip is perfect for those who have had no previous canoeing experience but have always wanted to give it a go! Banagher Glen is one of the largest remaining areas of semi-natural deciduous woodland in Northern Ireland, containing numerous ancient oak and ash trees. The ancient oaks provide a spectacular autumnal backdrop for this fascinating guided walk through the steep-sided glen to the Altnaheglish Reservoir. This is a perfect introductory canoe trip for all the family. Setting off from Blackwatertown, you will head upriver along the Blackwater as it lazily meanders through beautiful countryside to the small, picturesque village of Moy. To find out more information on all these great activity events and how you can take part in a FREE event near you on Sunday 2nd October, visit National Trails Day 2011! 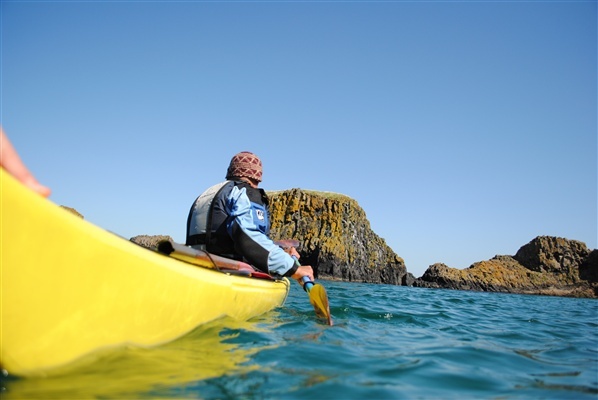 The North Coast Sea Kayak Trail is anticipated to become one of the most iconic sea kayak trips in Europe. It will stretch 70 nautical miles from Magilligan to Waterfoot along the North Coast’s rugged headlands and spectacular sandy beaches encompassing the famous Giant’s Causeway and Carrick-a-rede rope bridge. The travel press from Great Britain and beyond have been quick to realise the potential of the trail with several journalists queuing up to preview the route before its official launch in March 2012. Freelance journalist Helen Ochyra enjoyed two days on the trail with local providers Simply Sea Kayak resulting in a big thumbs up in both The Independent and Easy Jet In Flight Magazine. CanoeNI.com is over the moon with the coverage of the trail has received to date and is currently working with both Wanderlust Magazine and an Australian TV company to further the exposure. The trail will not be officially launched until March 2012 with the ribbon cutting at the newly refurbished bothy at Port Moon near Dunseverick, however the information is now live on the website so you can map out your first expedition. 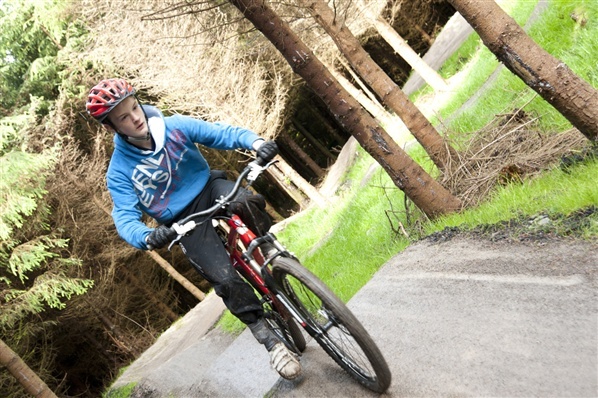 OutdoorNI.com does Belfast City Bike Tours is the latest in our regular blog feature ‘OutdoorNI.com does…’ which is our opportunity to showcase the exciting outdoor activities available in Northern Ireland. 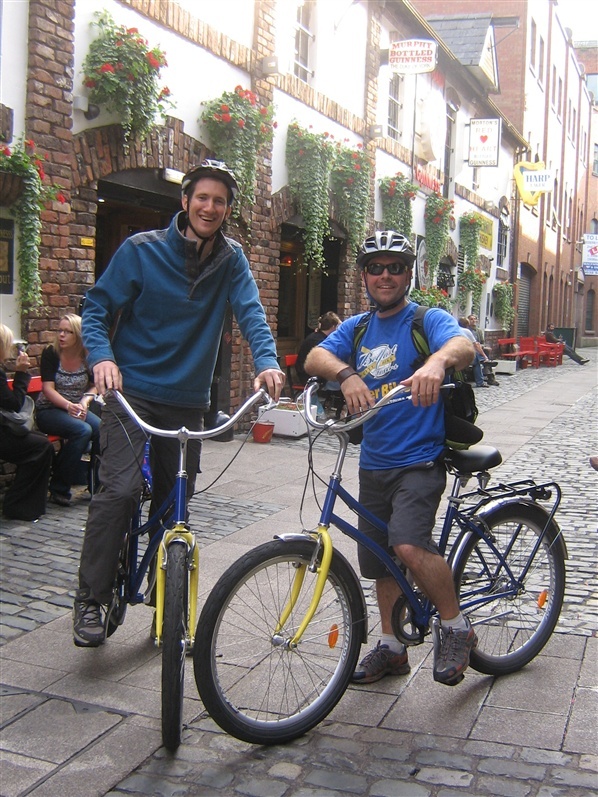 Find out how the OutdoorNI.com team got on with their urban adventure with Belfast City Bike Tours. 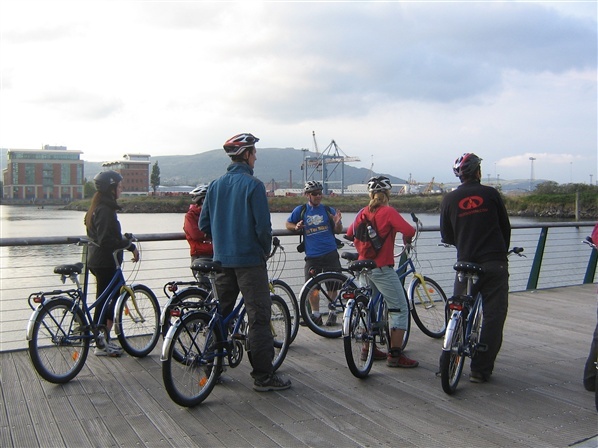 The OutdoorNI.com team is more accustomed to getting active in Northern Ireland’s countryside but a quick read of Belfast City Bike Tours Trip Advisor reviews intrigued us enough to take on this urban adventure. We were already excited on our arrival to the Linen House Hostel but this was heightened even further when we were met by our uber enthusiastic guide for the evening - Jerome, who quickly introduced us to our mode of transport for the evening. I can remember the joy of getting a new bike for my 10th birthday but this was a distant second to the buzz when Jerome set us up for a test run on our chic California Cruiser bikes. Within minutes the complete OutdoorNI.com team was whizzing around the courtyard, laughing and joking as they got used to their new steed. Safety is obviously the major concern when considering cycling around Belfast, but this was quickly alleviated by Jerome. He safely navigated us towards St Anne’s Court and onwards to the Cathedral quarter always taking care to keep us in a group waiting at traffic lights to ensure nobody was left behind. About 70% of the tour takes place on Belfast’s network of cycle paths and sticking together as a group meant we never felt intimidated by the traffic. Despite working and living in and around Belfast for several years it quickly became obvious the OutdoorNI.com team knew little of hidden Belfast. Everybody in Belfast knows St Anne’s Cathedral but how many locals take time to the read the excerpts from the work of some of Northern Ireland’s most esteemed laureates etched on the ground of Writers’ Square situated just opposite. The tour was full of interesting anecdotes of Northern Ireland’s past with a refreshing concentration on the positive rather than dwelling on ‘the troubles’. It’s not that Jerome is trying to sugar coat Belfast’s past, “The Black Taxi Tours and other bus tours cover the troubles very well, so we are keen to concentrate on other elements of Belfast that were are passionate about” explained Jerome. Although a lot of the trip is taking a step back in time there is also a chance the get up to speed with the modern era as Jerome points out his favourite pubs, cafés and music venues which would certainly provide an excellent orientation for any visitor to the city. After a name guessing competition at the celebrity mural in Commercial Court, the tour continued through the Titantic Quarter, Waterfront, Botanic Gardens, Queens University and Lisburn Road with each stop revealing both hidden gems and well known jewels in Belfast’s crown. Tours last around three hours but the relaxed pace means you barely break a sweat as the geared California Cruisers are a joy to pedal with comfortable saddles. The OutdoorNI.com team is not really the type to turn heads but aboard our quirky bikes, pedestrians looked on and children waved out of passing cars both with a smile which clearly sums up the excitement the enjoyment that Belfast City Bike Tours will bring to Belfast. £15 per person with concessions available. Tours last around 3 hours. Full schedule of upcoming tours.